Add the leftover rice, milk, vanilla, cinnamon, lemon extract, sea salt, and maple syrup to a medium saucepan. Bring to a simmer and cook for 15 to 20 minutes, or until the rice absorbs all the liquid. Cool slightly, and then fold in the Greek yogurt. 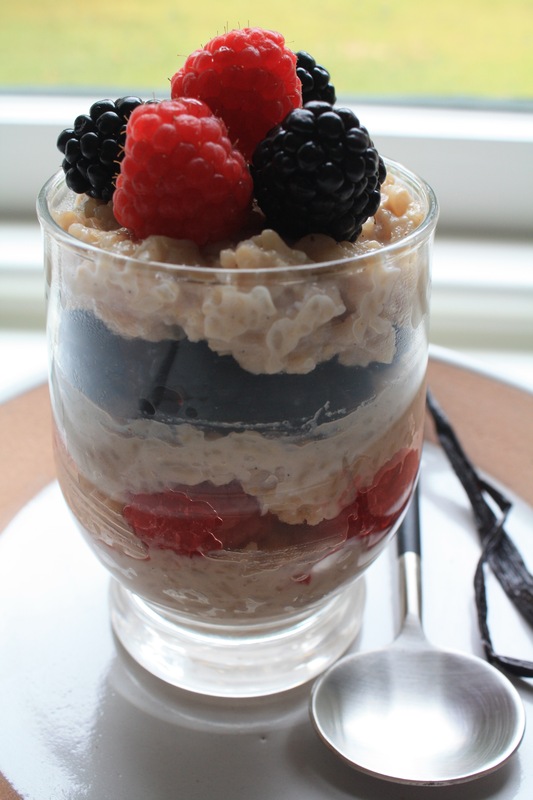 Using glasses of your choice, layer the berries, hemp seeds and rice mixture. Cover and chill before serving. Enjoy !